There is unquestionably an upbeat feeling about the world of the American independent bookseller these days, with significant numbers rallying to successfully take on the Amazon challenge. A decade ago, in the infancy of the digital revolution, many might have written off bookstores selling only physical books. A welcome stabilisation in print sales, together with a host of innovations in the sales and distribution networks that sustain the independent bookstore sector, means that, in 2019, the ABA’s membership is in a healthy state. 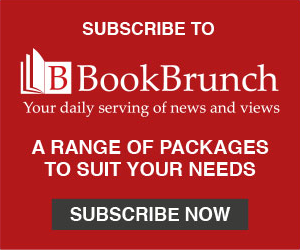 In conversation with BookBrunch at the London Book Fair last week, Oren Teicher, ceo of the ABA, said there were a number of key reasons for this. Perhaps most importantly, "all the data continues to show that consumers are discovering books in physical places, and having a viable network for consumers to discover books is indispensable. I think publishers understand that supporting bookshops is indispensable to their success." One significant way in which publishers have helped is by sorting out distribution, making delivery within 24-48 hours a given, rather than an impossible dream. Led originally by PRH, but now joined by all the major and many of the mid-sized houses, publishers have devoted massive amounts of time, energy and money in getting books to market much, much faster. Their rapid replenishment schemes ensure that almost 90% of ABA members can replace inventory in less than 48 hours. Is this essential? Yes, says Teicher, "Our game isn’t to compete with Amazon but we do have to be competitive. So I think publishers figured out that they had to up their game and they have done that." Wholesalers too have played their part in improving the supply chain, although there is a possible cloud on the horizon for that sector, according to Teicher: "One of the threats is consolidation on the wholesale side; at the moment we have two viable national wholesalers, Ingram and Baker & Taylor. My members can buy books from a publisher at publisher terms and get that book from a wholesaler, getting the advantage of a quick distribution." 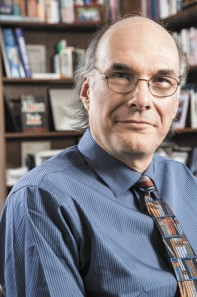 Further efficiencies are likely to be brought to the American book industry later in the year, when the UK BA’s Batch system is implemented by the ABA: "The main benefits are the efficiencies it creates at the bookstore end - it’s a quantum leap forward," says Teicher, while acknowledging that the benefits may not be felt overnight. "Change is always hard - to get publishers to do business differently, to get booksellers to do things differently, to change systems and the way people are used to doing things. But we’ve talked to enough UK booksellers who say they wouldn’t know today how to operate their stores if they didn’t have a system like that. My prediction is that five years from now in America they’ll say the same thing." As in the UK, the children’s books part of the business remains the fastest growing sector, with the juvenile departments of ABA members getting bigger to serve this growing market. Other genres ebb and flow, though there has been a bonanza in the sales of political books in the past couple of years, thanks in no small part to the Trump administration. Teicher claims that an increasingly polarised nation offers his members another function too: "Bookstores really can provide an opportunity to be that place where people with different opinions can come together, and I think there are hundreds of stores across the country that have figured out how to try to serve that role in their community that is as important today as it’s ever been. We take the position that our members’ job is to make the widest array of titles available to their customers and let their customers decide what they want to buy. It would be disingenuous not to acknowledge that many booksellers have their own opinions, sometimes fairly strong political opinions, but I think stores have worked really hard at trying to be that place, that comfort zone in the community." But while the Trump administration may be helping the book industry by encouraging sales of political books, there is little being done to restrict the massive growth of the new digital giants, despite the rhetoric from this and previous governments. "The DoJ has done nothing to restrict the power of Amazon [and] nobody is enforcing the anti-trust laws…that exist to ensure a competitive business environment." Teicher also points to another development that has been benefiting his members: "What we’ve observed most significantly in the last decade, but certainly in the last five years, is what we like to call localism – people wanting to shop locally. There is a chunk of the American population that is making the decision to shop locally at an independent business because it is a locally-owned independent business. It’s wanting to see those dollars recirculating but it’s also because people have pride in the place that they live and they don’t want their shopping district, their high street to be exactly the same as everywhere else." He stresses that while there may be a popular presumption that people in the States are only shopping on Amazon or in malls, that just isn’t true. "They are fiercely competitive, no one is under-estimating the power of Amazon, let alone the big box malls in America, but the independent channel across a network of independent businesses is actually a lot stronger than is popularly thought." Another key factor in the continued success of the independent bookselling sector, says Teicher, is the renewal of those at the coal face: "We’ve certainly begun to experience a younger generation of owners of bookstores across America. At our recent members’ meeting in Albuquerque there was clearly a passing of the torch to a younger generation which was wonderful and ensuring that that continues will really be critical." And now Teicher himself is part of that passing generation, having announced his retirement at the close of the London Book Fair. His leadership over the past 12 years has played a key part in ensuring the continuing success of the ABA membership in what, as most would agree, is a very challenging environment.